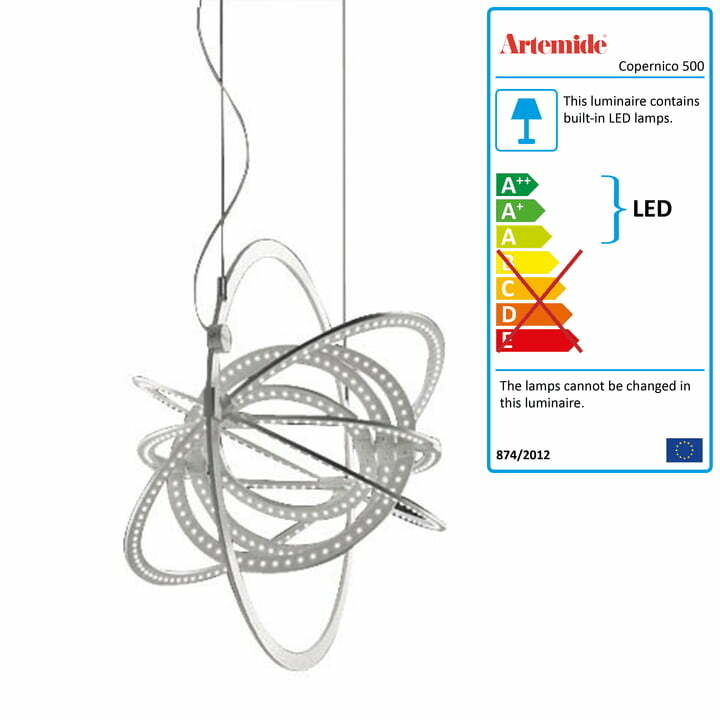 The Copernico 500 LED pendant lamp by Artemide is an optimal addition to the wall lamp from the same product series. 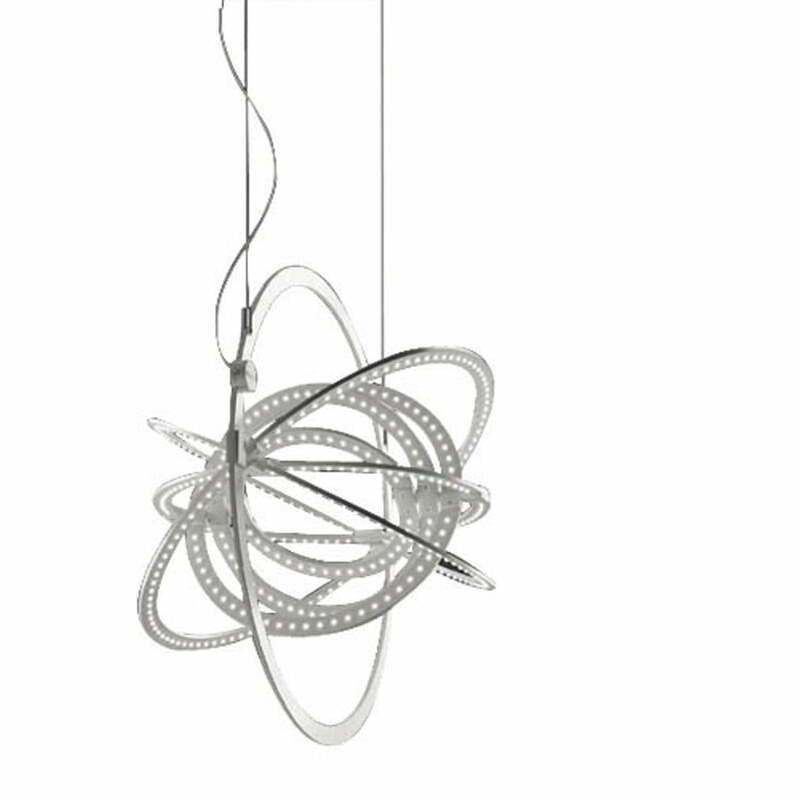 Copernico consists of nine concentric ellipses made from a single aluminium sheet, which a circuit board with 384 white LEDs is attached to. The ellipses can be rotated independently of each other on two different axes. 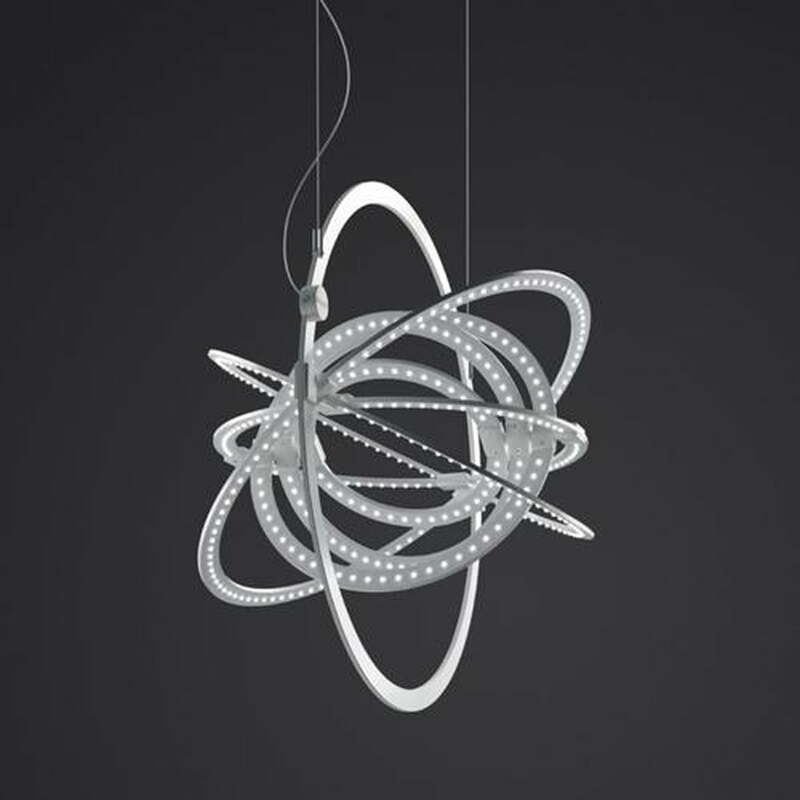 Thus you can direct light in whichever way you prefer and keep creating new configurations in the room. When closed, the lamp assumes a perfectly flat shape. 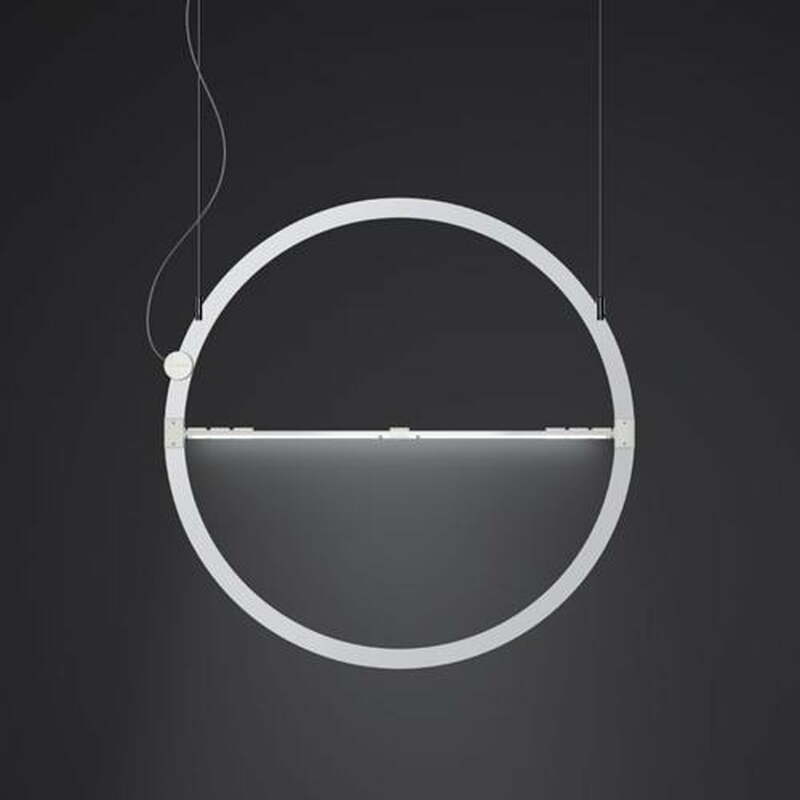 Thanks to its flexible construction, the Copernico 500 LED pendant lamp can be used for various lighting situations. In its closed, flat shape, the lamp provides direct light, e.g. 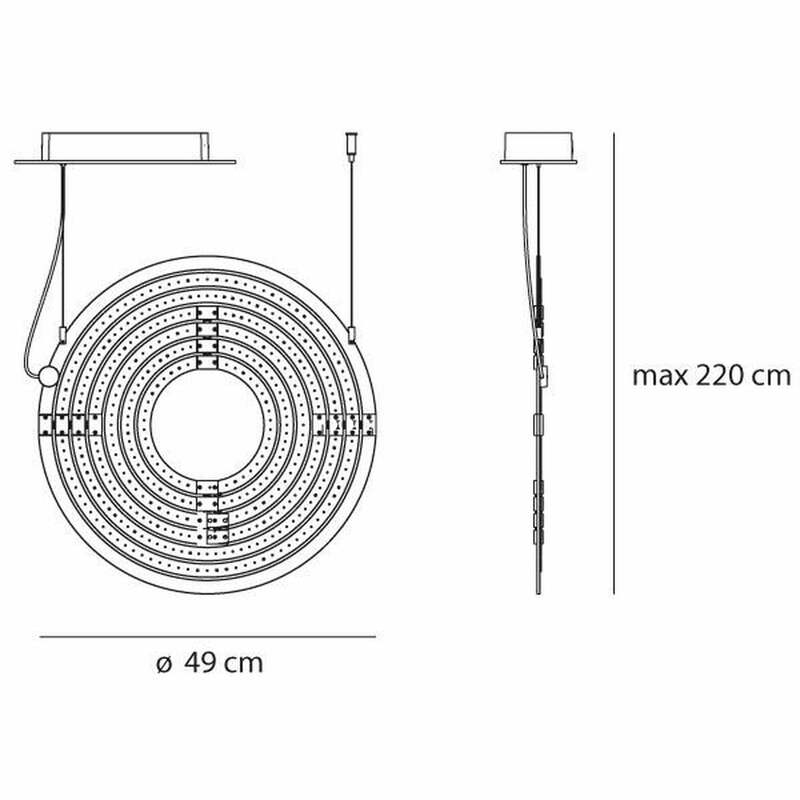 to illuminate a dining table, or can be used as an uplight when installed facing upwards. 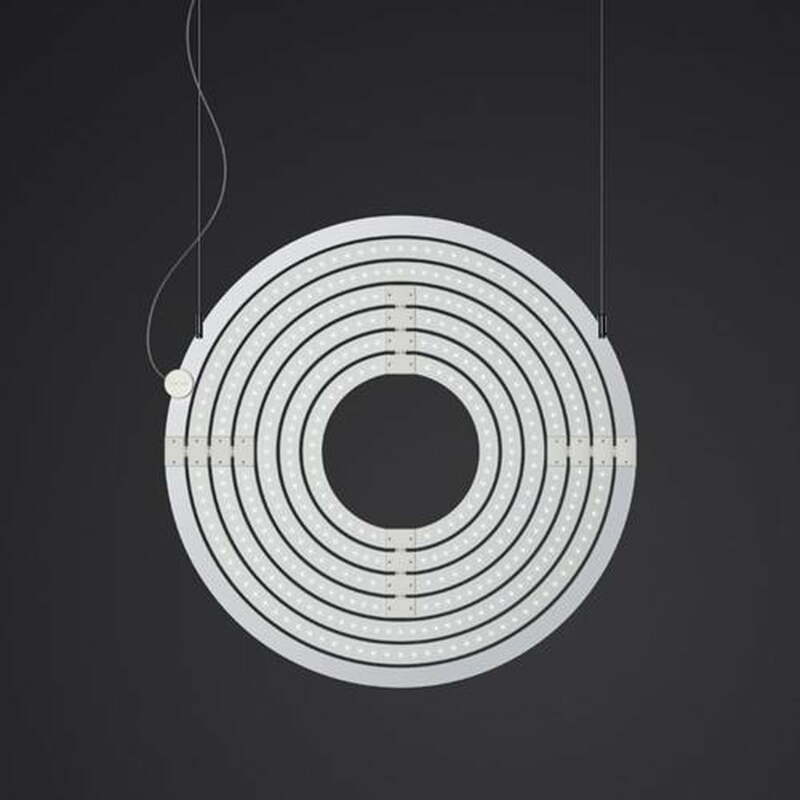 When opened, the Copernico 500 LED emits diffuse, warm white (3000 K) light and creates exciting lighting configurations.